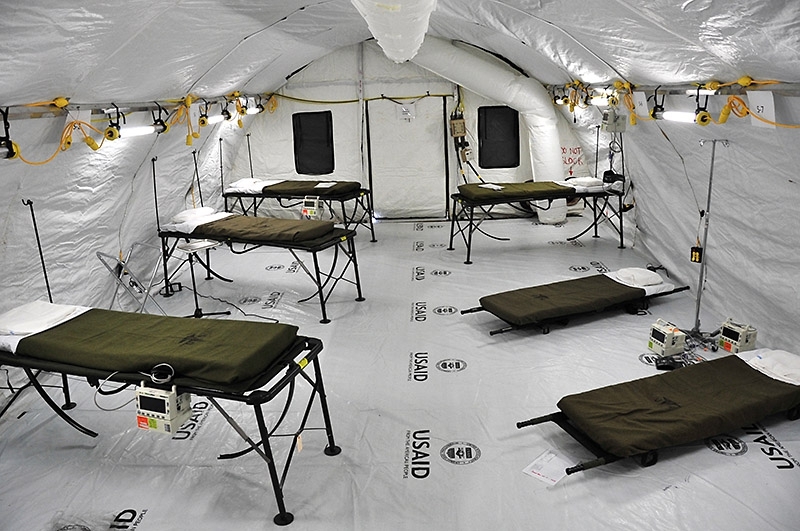 Monrovia, Liberia – The Monrovia Medical Unit, an Ebola treatment unit constructed specifically for the treatment of medical workers who were infected while caring for Ebola patients, is scheduled to open November 8th, located about 30 miles outside Monrovia, Liberia. 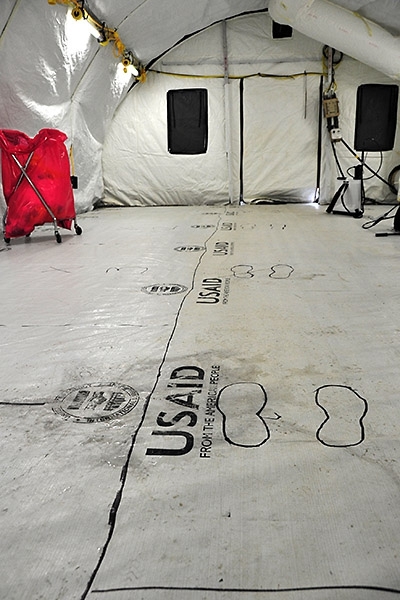 “The Monrovia Medical Unit, otherwise known as an MMU, is different than an Ebola treatment unit – ETU – because our main purpose is to give hope to doctors and nurses as we will be treating any suspected or infected cases that happen around West Africa,” said Lt. Shane Deckert, the MMU facility engineer, with the U.S. Public Health Service. 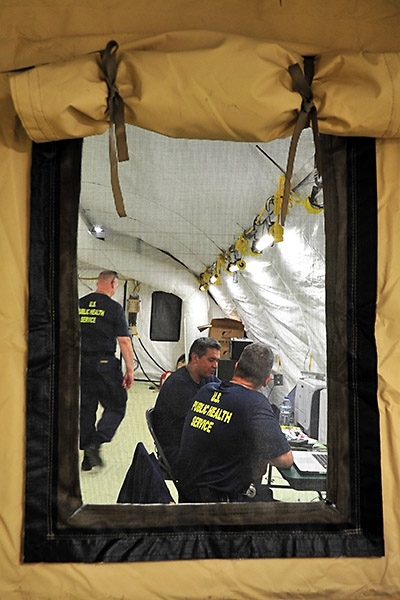 No other facility like this exists, said Lt. Col. Lee Hicks, the Joint Forces Command – United Assistance command engineer. 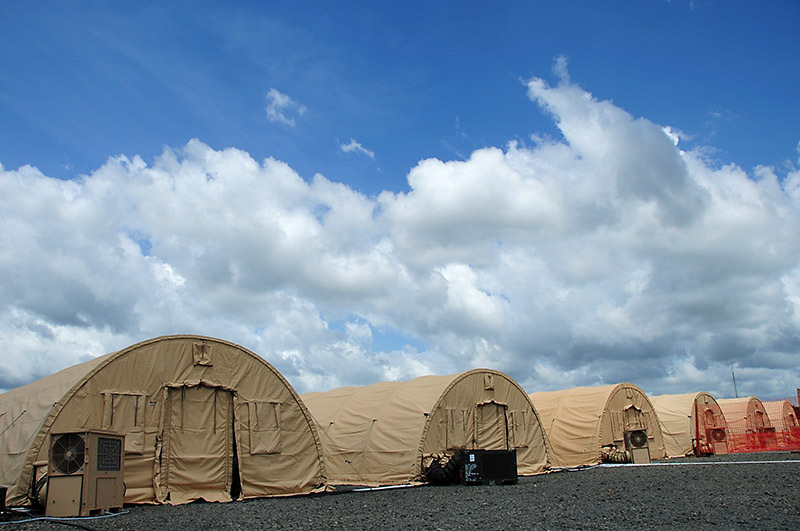 The 25-bed facility was constructed from the ground up by a team of Navy Seabees, Soldiers and Airmen from Joint Forces Command – United Assistance and will be operated by personnel from the U.S. Public Health Service, said hicks. 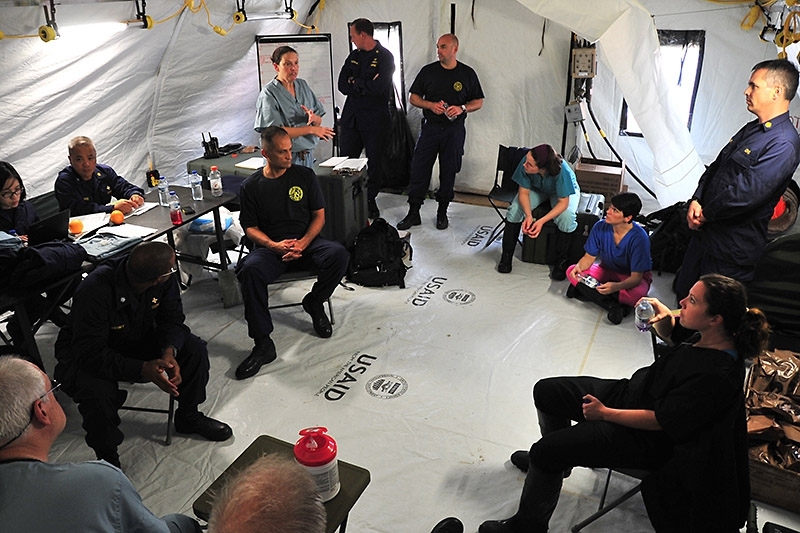 Before arriving to Liberia to help construct and run the MMU, medical personnel from the USPHS, contacted other treatment facilities to compile and absorb as much information on best practices for ETUs, said Cmdr. 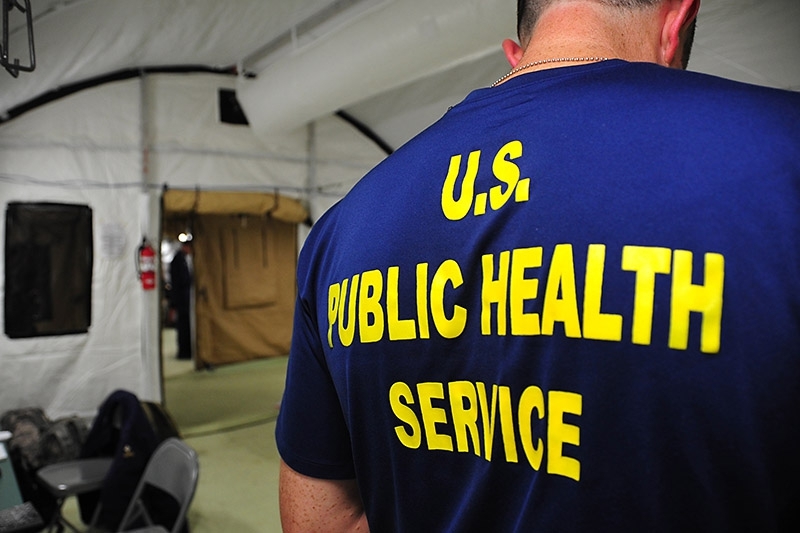 Tom Janisko, a physician’s assistant with USPHS who will be working in preventative medicine there. 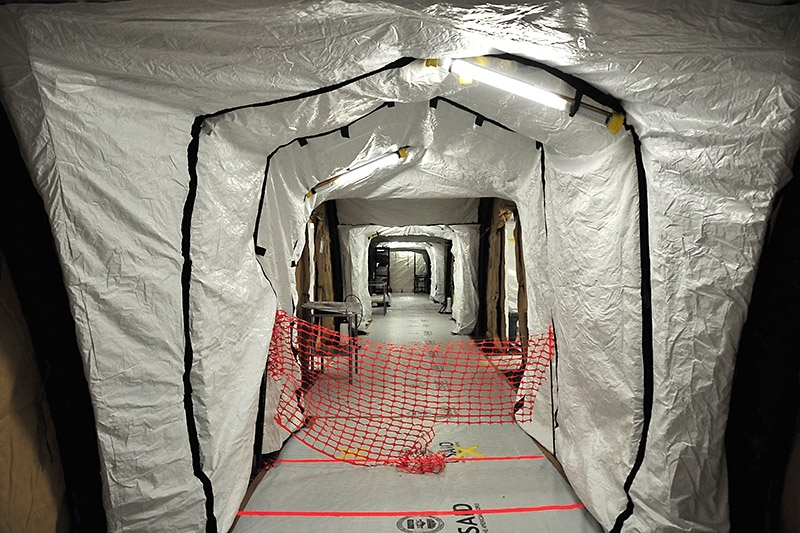 The MMU compound is separated into two – one side is the low-risk zone for medical workers and support staff; the other side is the high-risk zone for suspected and infected patients, he said. 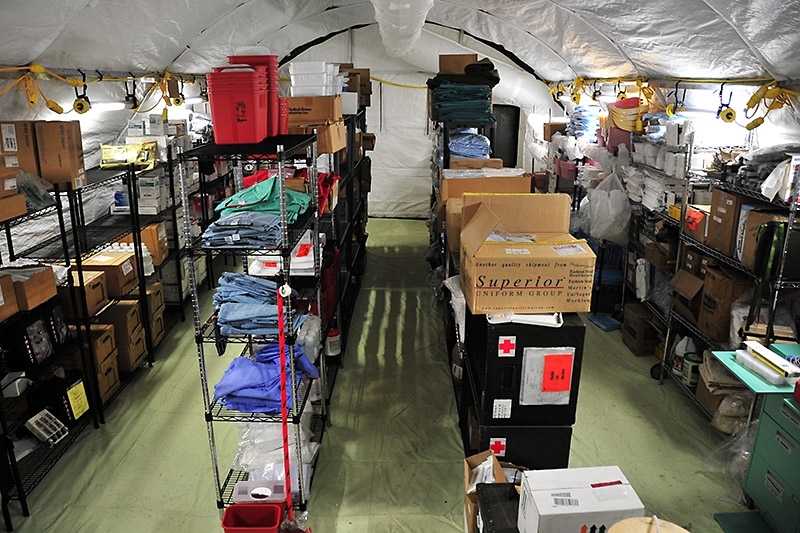 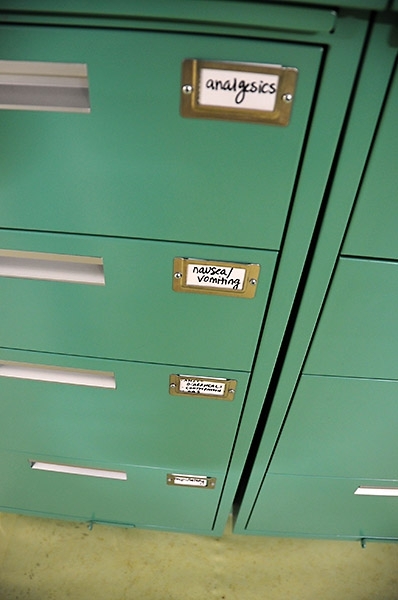 The administrative tents are where all the behind-the-scenes work happens – the ordering of personal protective gear, scheduling, processing of paperwork, eating meals. 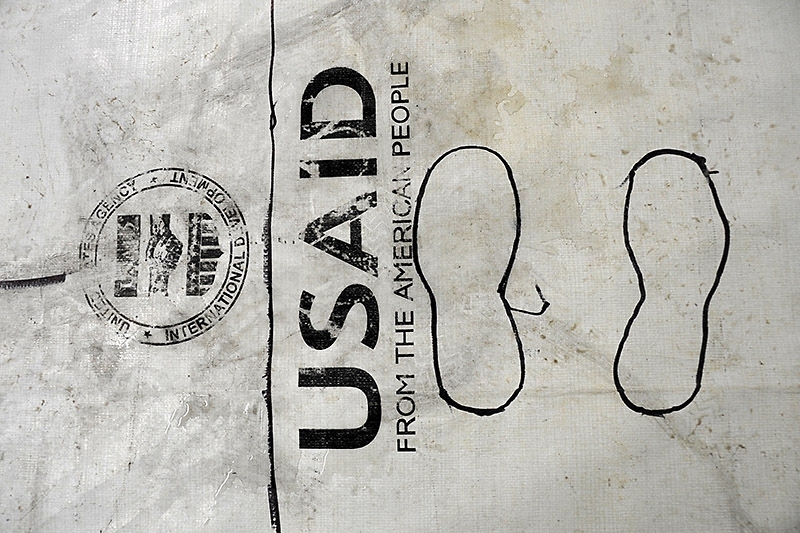 “The most acute ward would be for the patients who have Ebola,” said Janisko. This is the confirmed ward.